Introducing SaddleBrooke Community, voted one of the top 100 Best Master Planned Communities in the country by Where To Retire magazine. At SaddleBrooke Community in Arizona, relaxation, recreation and social activities are all enhanced by world-class amenities, perfect weather and breathtaking Arizona scenery. The stunning multi-million dollar SaddleBrooke Community country clubs overlook championship Arizona golf courses, sun-washed desert vistas and the panoramic splendor of the Santa Catalina Mountain range. The Preserve at SaddleBrooke is the pinnacle of Arizona country club living in one of the most spectacular places on earth. Located in the northeastern section of SaddleBrooke Community. Exceptional Arizona home sites offer outstanding views and privacy without seclusion. Each extraordinary SaddleBrooke Community Arizona home blends into the surrounding natural landscape. 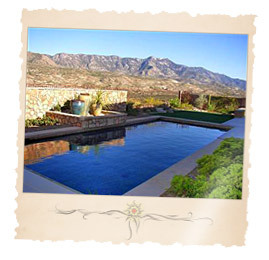 SaddleBrooke Community is a spectacular resort paradise in the Foothills of the magnificent Santa Catalina Mountains with a growing population that currently includes approximately 4,000 residents. Arizona golfers of all skill levels enjoy the latest 18-hole addition to SaddleBrooke Community's former 27-hole course, Mountain View. Breathtaking views, rolling desert terrain and natural riparian trees are all part of the experience. Over 26,000 square feet of casual elegance makes SaddleBrooke Community's Arizona multi-million dollar clubhouse a focal point with virtually unlimited social and recreational activities. Beyond the striking foyer, one finds a grand ballroom, an inviting library, and a cozy bar and lounge. Since 1986 when SaddleBrooke Community first broke ground, more than 2,500 Arizona homes have been built and another 1,200 Arizona homes for sale are planned. A large community is planned to the north that will be called SaddleBrooke Ranch with more than 6,000 Arizona homes for families and retirees. 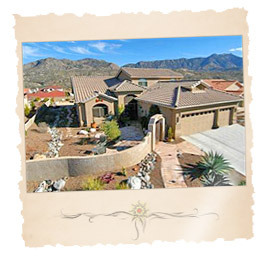 SaddleBrooke Community Arizona home listings show that properties are new; from 1986 up to the Arizona new homes of today. Most SaddleBrooke Community homes in the area realize superior maintenance due to the prideful type of homeowner that has traditionally invested in the area. Arizona home styles vary from single family living to Arizona townhomes -- blending serenely with the desert and mountains in soft neutral colors, with prices start in the low $225,000 range and escalate to over $800,000. Living the "Good Life" involves feeling good and looking good ... so, at SaddleBrooke Community, they have made certain that almost every imaginable facility is at your disposal to enhance your enjoyment of SaddleBrooke's incredible Arizona lifestyle. A fully stocked pro shop will cater to your every need. The Mesquite Grill will be the perfect spot to unwind after 18 holes or indulge in a leisurely lunch in the company of good friends. A state of the art fitness center will enhance your enjoyment of SaddleBrooke Community's healthy, active lifestyle. There's something about enjoying the good life that's enhanced by the company of good friends. At SaddleBrooke Community in Arizona, that's part of the fun. The tools to begin your new SaddleBrooke Community Arizona homes search are right at your fingertips! To get started, simply click on the quick link above or browse Arizona new construction homes and houses for sale using the links to the right. 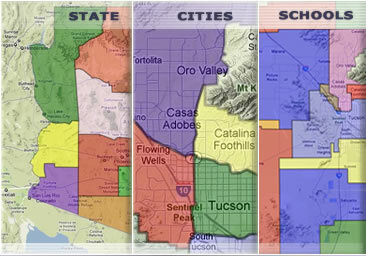 Find a new SaddleBrooke Community home for sale or locate a home builder in Arizona on MyOwnArizona.com. Our MyOwnArizona™ SaddleBrooke Community real estate guide showcases Arizona new construction homes, townhomes, condos and new Arizona communities by new home builders throughout the State of Arizona. Find new homes by map, desired home price or by browsing new developments and floor plans by lifestyle or home type. All home listings include home price, location and money saving incentive offers to make buying a new SaddleBrooke Community Arizona home more affordable. All houses for sale listed include floor plans, pictures and many offer tours of the new homes and communities. Contact us at: info@MyOwnArizona.com for Arizona & SaddleBrooke Community in Tucson, AZ real estate.